This is what I'm working on right now. 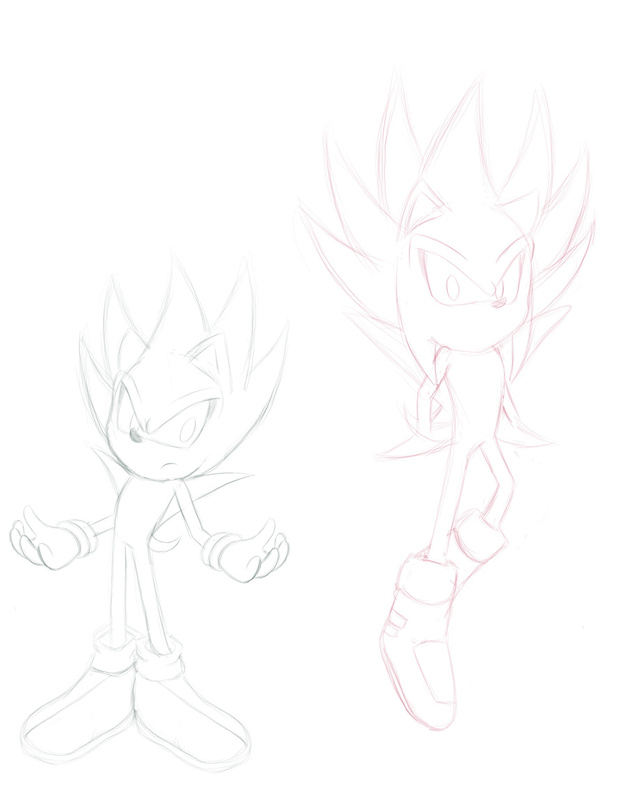 I'' add his final stage and the chaos emerald when I work on it again but this is was I have so far. I've been a bit sick lately (Vomiting, headaches, etc) and I've felt a little better. I decided to take a break from working on my comic development to do something else.